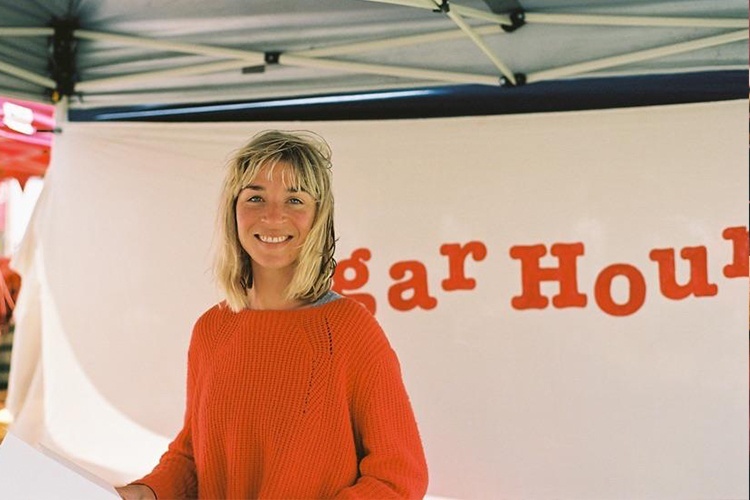 Sugar Hound is based in Fremantle, WA, and can be found at the south freo growers market every Sunday. Its about home style cakes, tarts and slices.. yum! Tell us a little about who you are and how Sugar Hound started? I am the sole owner and runner of Sugar Hound. 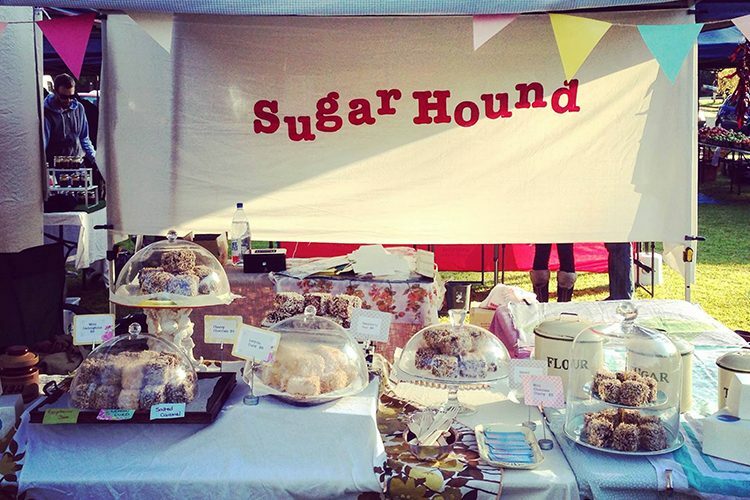 I started Sugar Hound as a weekly stall at Growers Green market in South Fremantle in June 2014. After about 6 months I decided to specialise in lamingtons as I was getting a good response from people who were trying them. 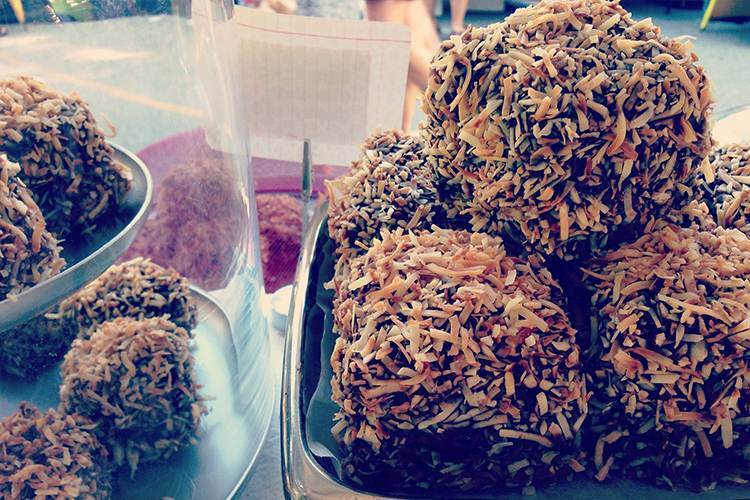 I also thought lamingtons were due for a bit of a revival, as they are rather iconic and nostalgic to many Australians. All the lamingtons are gluten free as well which many people when they find out are very happy about! 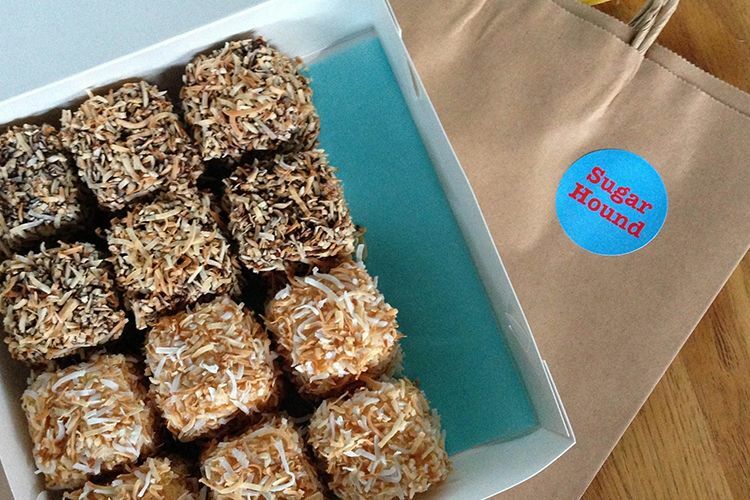 I cater for birthdays and weddings as well as distribute Sugar Hound lamingtons to several cafes across Perth. I would say my favourite local business at the moment is a cafe on South Terrace called the Third Wheel run by a great couple, Tom and Georgia. They do a great job of offering local products in their sweet little cafe. Plus there is an ocean view from their terrace! South Fremantle is a great local area to live in.. it is relaxed and everything is within your reach here.. the beach, great cafes and pubs, and its very beautiful. Plus you’re always running into people you know which provides a great sense of community. Have you been to Sugar Hound? Tell us what you think and write a review.